The infectious vallenato music is thumping out from almost every corner. An open-air party bus passes by the palm-lined street and the smell of the Caribbean Sea is heavy in the air. It’s Friday night in Santa Marta and things are starting to get down. Like many other places in Colombia, years ago this scene would have never existed. Drugs and prostitutes ruled the crumbling colonial streets here in the very same places where, today, vendors sell beach chairs and sarongs to tourists passing through. Santa Marta, Colombia was a nice surprise. 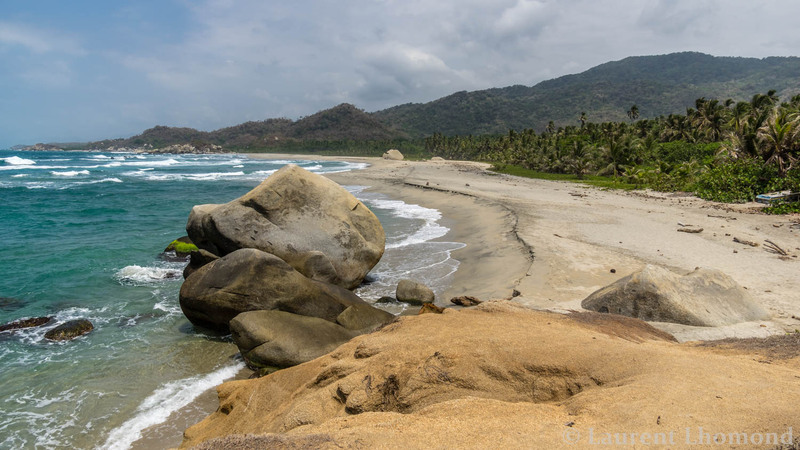 It doesn’t get all of the glory like Cartagena and it isn’t as famous as Parque Nacional Tayrona. To be honest, I wasn’t expecting much from this seaside city. 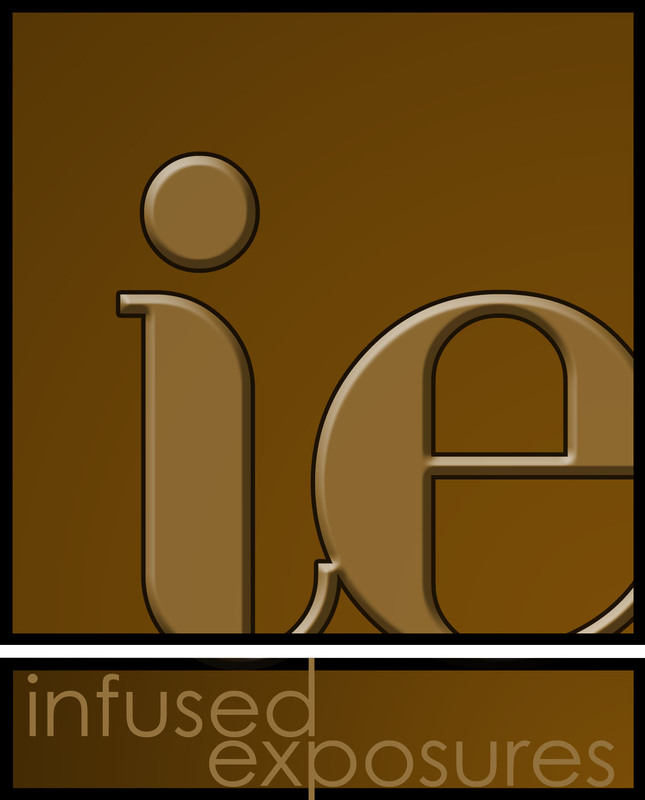 It’s often the case when our expectations are lowered and you just go into something not knowing much. For us, it just seemed like a convenient place to base ourselves for visiting the surrounding area (like Minca, and the Parque Nacional). 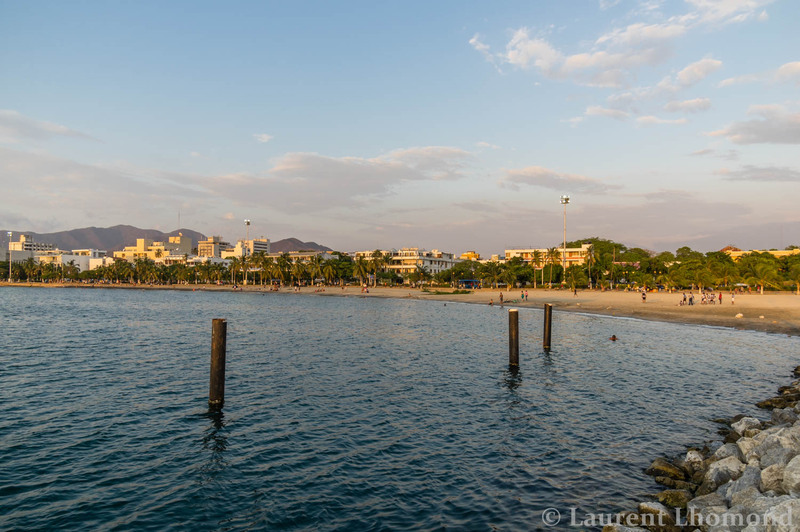 This part was true and we found Santa Marta not only charming in a low-key way but also extremely easy to use as a base to these other places. 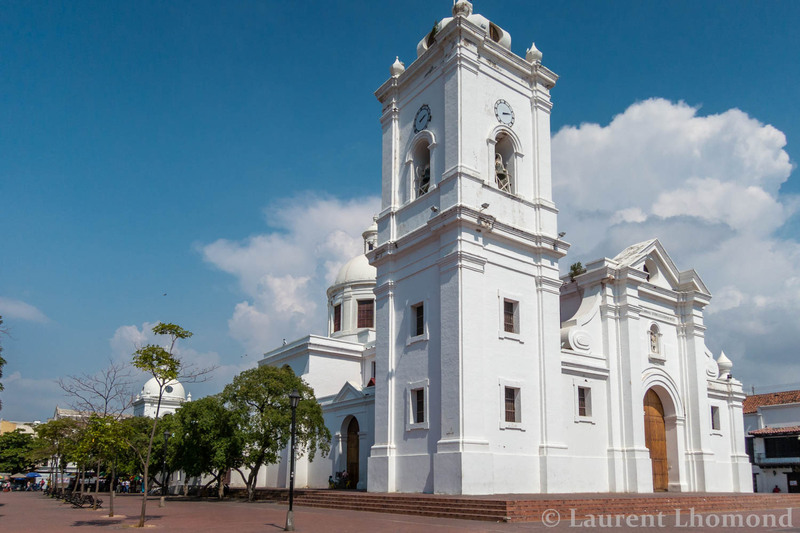 Founded in 1525, the city is one of Colombia’s oldest. It remains an important port to this day and thanks to the cleaned up streets, tourism now plays a vital role. 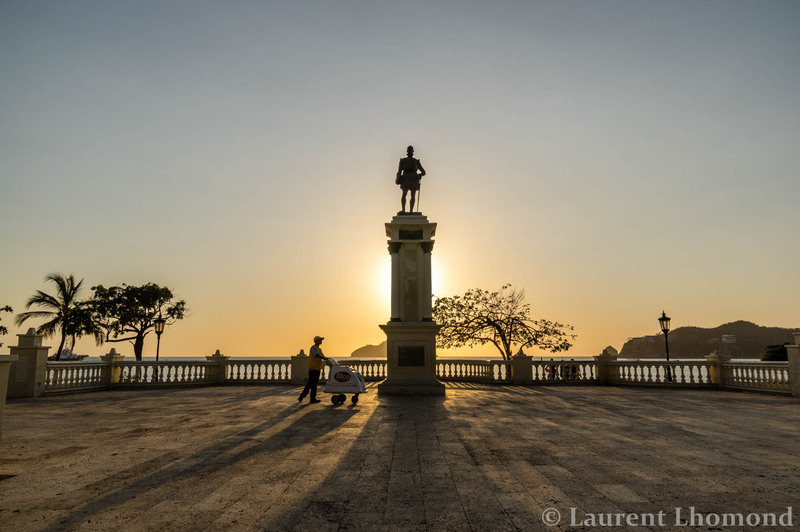 In recent years, the Colombian government has spent a lot of money revamping the town including creating a car-free pedestrian zones, improving the cities parks and constructing a waterfront that’s simply ideal for strolling. There is still a gritty feel to the city, it’s not as polished as Cartagena, but this grit makes the city that much more credible. A unique blend of locals and tourists mingle together to form a perfect vibe. 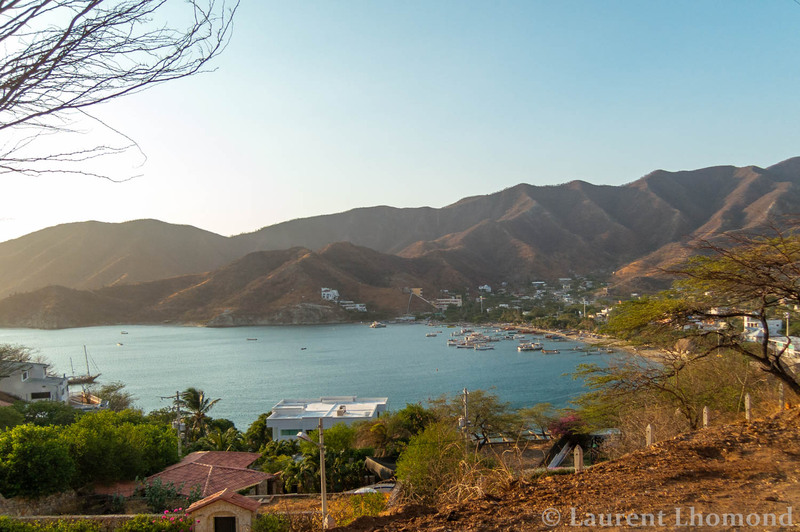 The only downfall of Santa Marta, much like the rest of the north coast of Colombia, is the heat. The visitor is once again faced with the sweltering Caribbean heat that knows no bounds! Thankfully at night, the ocean breeze kicks up a notch and offers some relief. We based ourselves at the Zleeping Hostel, which I highly recommend due to the friendliness of the staff, the rooftop jacuzzi and the icy-cold, air-conditioned rooms. Getting here from Cartagena is easy. Several buses make the 4 hour trip daily. Cost is about $25 US. This city is worthy of at least one of your days for exploring. To the south you have El Rodadero and Taganga lies to the north. In between is the main city of Santa Marta which we found to be the most charming. The spacious plaza is a perfect place to check out some of the colonial architecture or do a little shopping. Afterwards, grab a bite to eat at one of the cities many outdoor patios. 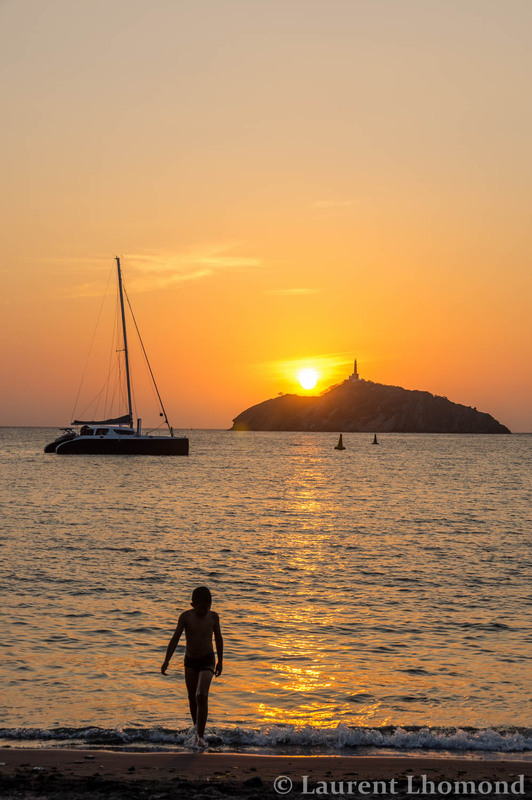 The sunset in Santa Marta is reason enough to stay for at least a night. The city created a spectacular waterfront area where vendors hawk their goods and children can play. It makes the ideal place to grab an ice cream and watch the end of the day unfold. Rodrigo de Bastidas was the conquistador that founded the city. There is a statue erected in his honor and you can pay homage to him directly on this promenade. Tagangua was a big disappoint for us old farts. On one hand, it is a beautiful fishing village dotted with colorful boats and pretty views. On the other hand, it has been flooded with the young backpacker set who are after nothing but a nonstop party. If you are twenty and into partying (including offers of drugs), you will love Taganga. We were repeatedly offered drugs while we were just simply strolling on the beach. Um, no thanks. The loud (mostly bad) music thumps constantly (even in the day) and it looks like the partying just never stops. This is definitely not our scene! We were glad we just took a quick day visit and were happy to be on a bus heading back to Santa Marta in the evening! We needed a reprieve from the insufferable heat and decided to head into the nearby mountains for some relief. 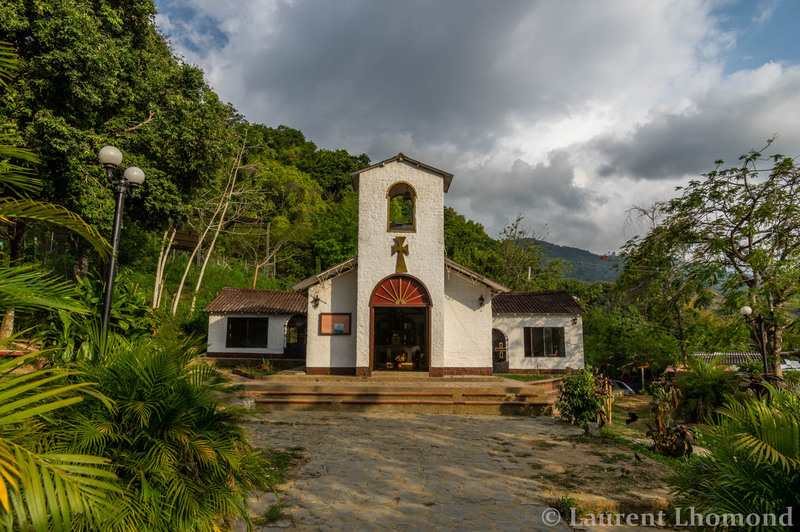 Just one hour away from Santa Marta, Minca is easy and cheap to get to. From the Mercado area at Clle 11 & Car 11, 4WD vehicles will take you up for US $4. Minca is known for being an ecological mountain retreat of sorts. Many here believe the area has spiritual properties (especially the river and the surrounding waterfalls). The scenery here is a complete change from the coast, with green, lush, jungle-like environs and the transition is quite rapid as the mountains jut right out practically from the coast. 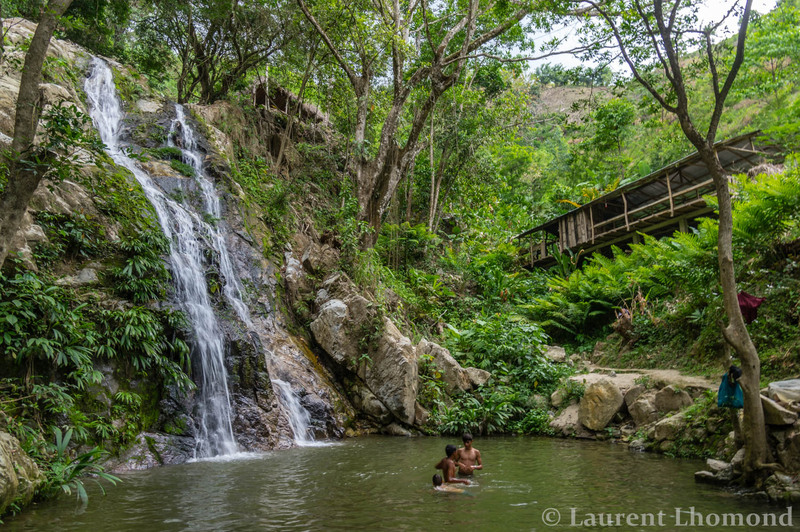 Marinka Falls, run by the indigenous Wayuu, is one of the best places to swim in the area. Me washing away the ‘bad’ energy! It is said that bathing in the watefalls here has curative properties. There is even one falls that will wash away all of your negative energy. 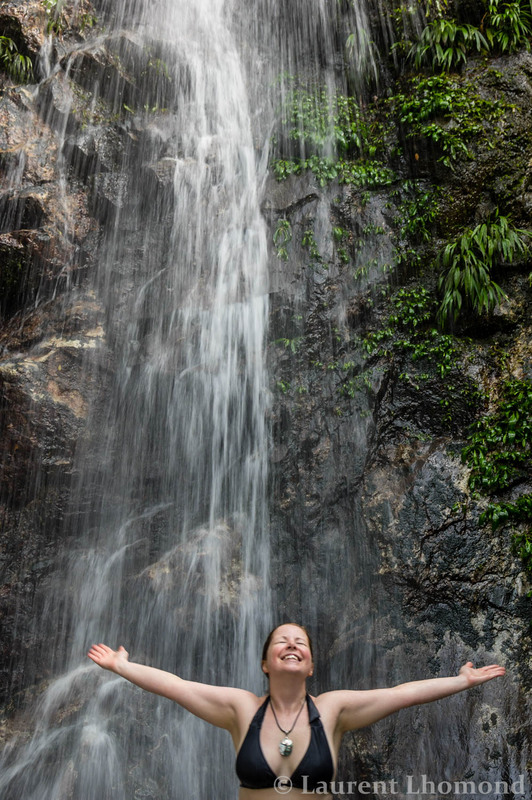 I’m not sure if all that is true but I can tell you that a dip in these beautiful falls is one of the most refreshing feelings after a day of hiking! 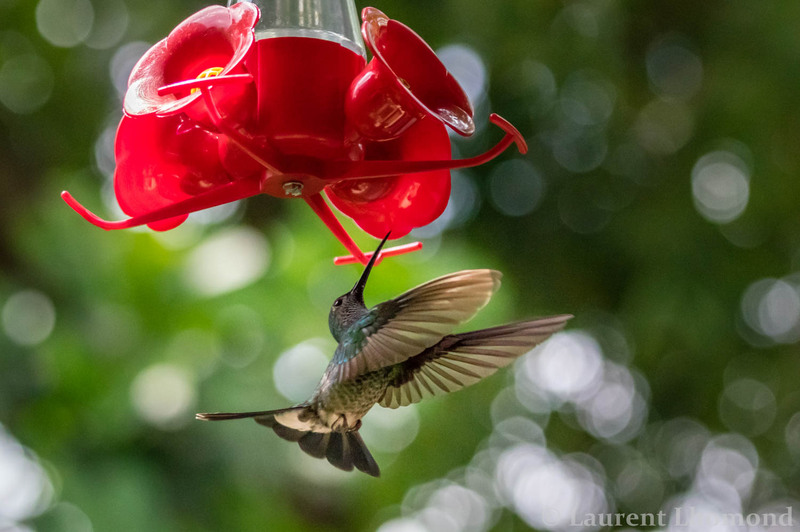 Hummingbirds and other types of feathered-creatures thrive here. It’s a real bird-watchers paradise. 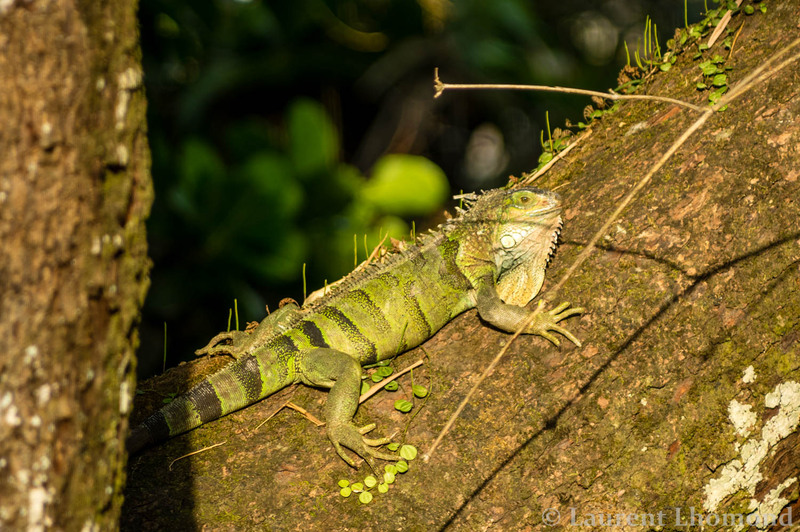 But other creatures dwell here too including giant iguanas. If you are lucky, you can catch sight of them sunning in the trees. This park combines both coast and rainforest to create a surreal place that has to be experienced to be believed. 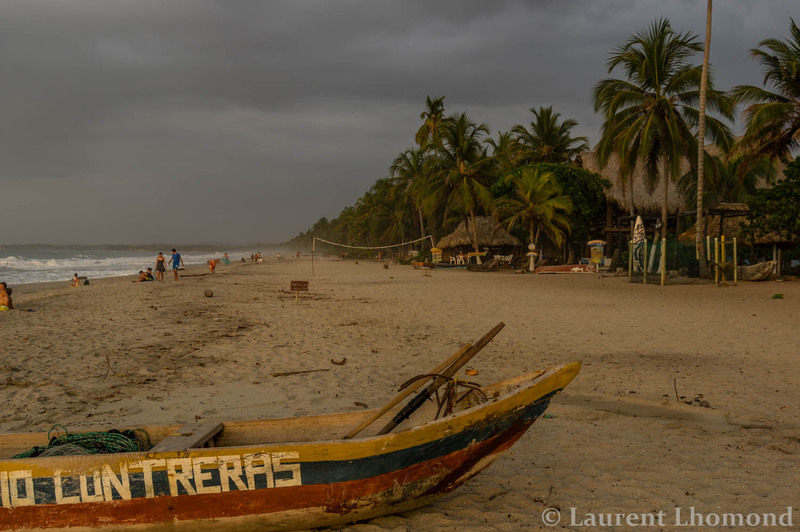 It’s high on the destination list for most visitors to Colombia and with good reason. The beaches here will make you feel like you’ve entered the lost world and are perfect for swimming with their crystal blue waters. Giant rocks, palm trees swaying and rainforest beckon to you at every turn. There are no roads (thankfully) in the park. This means you have to hike it in. You can go close or far depending upon what you are looking for. The bus from Santa Marta will drop you off at the main entrance where you pay your entrance fee and then can catch a minvan to the parking lot in Cañaveral. This spot caters to the wealthy and if you have the money, surely you should stay in the lovely EcoHabs. In addition to overlooking a picturesque beach, the individual cabanas are well equipped with air conditioned rooms, luxury bath products and fabulous views but it also comes at a dear price. Luxury travel isn’t really part of our lives so we headed more inland. Arrecifes is located on a stretch of wild, rough beach, between Cañaveral and Cabo San Juan del Guia. It’s a 45 minute walk from Cañaveral or you can hire a horse if your baggage is too heavy to carry in. Of course we decided to carry our own stuff in and camp. 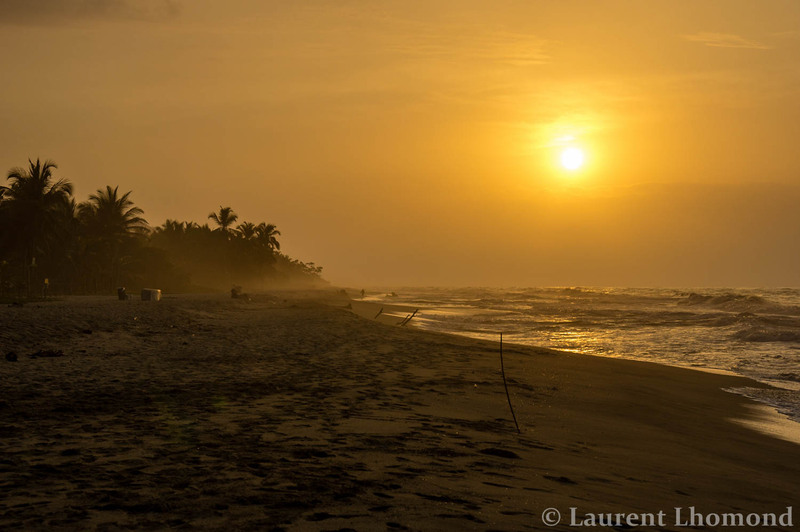 In Arrecifes, there is a lovely campground that is pretty close to a beach. There is also a delicious restaurant there. A tip: If you decide to stay and eat there, ask for the set meal of the day. It’s much cheaper then any meal listed and is delicious! The other main option in the park is to walk yet another 45 minutes further where you end up at Cabo San Juan del Guia. This beach is the premier beach in the park and it’s easy to see why when you arrive. 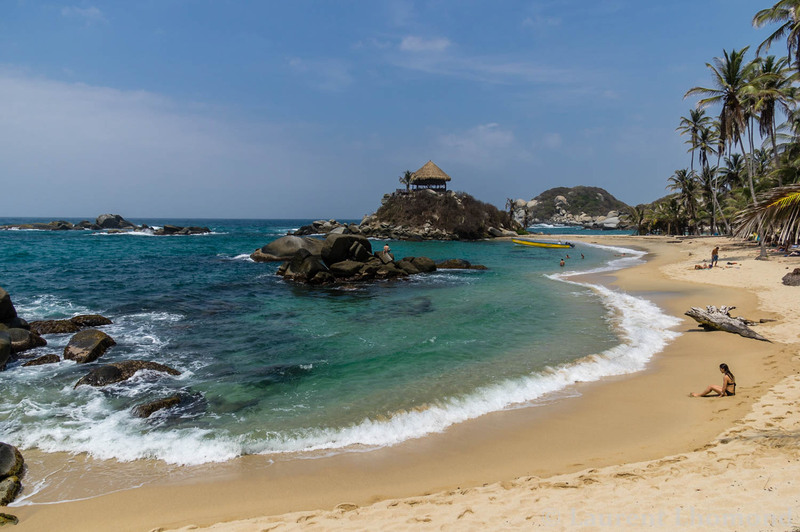 Large boulders are strewn along the golden sand and crystal blue waters, creating a perfect backdrop for a beach you could only wish to be stranded upon. Unfortunately, this is a backpacker mecca and your options are limited to hammocks (sans mosquito netting) or camping in tired tents. The restaurant here is over-priced and a poor value. Unless you only want to party all night and get little to no sleep, look elsewhere to sleep. 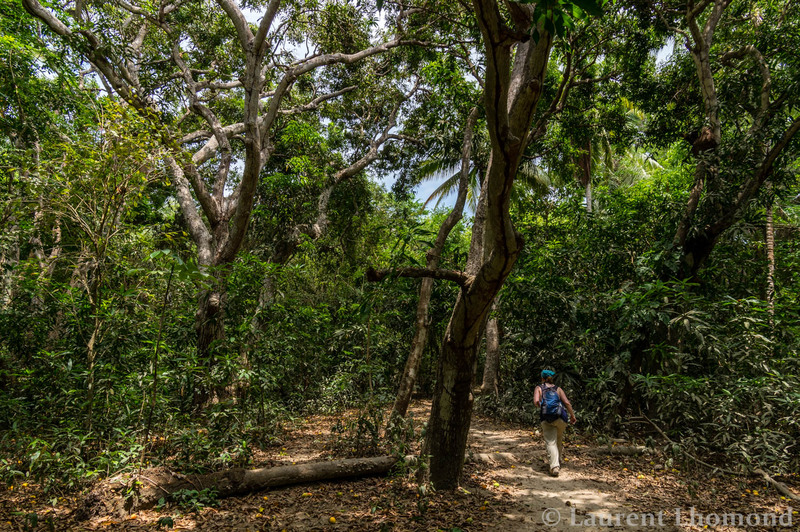 There is a large network of hiking trails found throughout the park. We honestly found it too hot and humid for us to enjoy any additional hiking. The ultimate Colombian food, the humble arepa, can be found almost everywhere from the south of the country to the north. 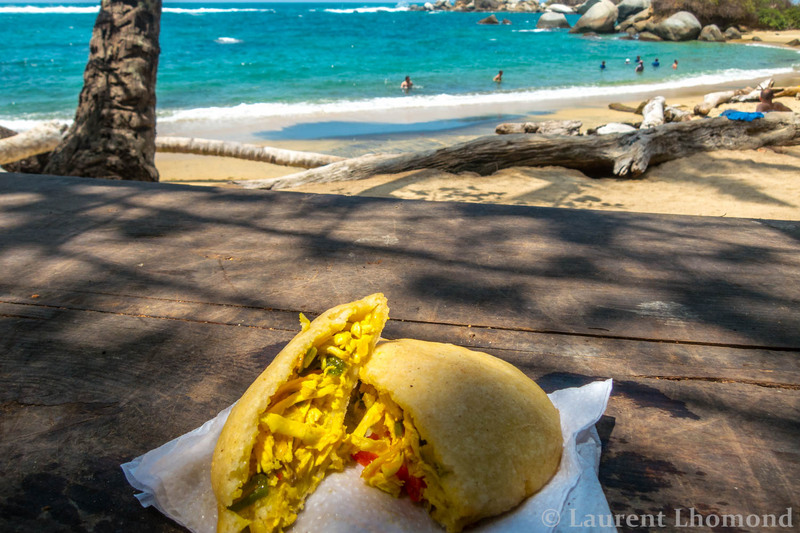 Even beachside, there are arepas being fried up and sometimes stuffed. This was probably one of the best arepas I ate in my three month travels in Colombia. Stuffed with seasoned, shredded chicken and perfectly fried, they make the ultimate after-swim snack. Do not make the mistake of coming to this country and not trying one! 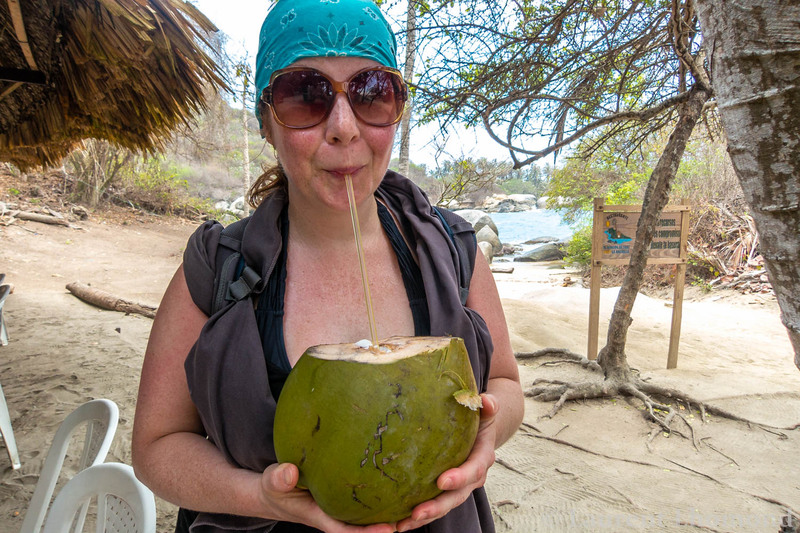 And for the ultimate beverage, get a freshly, hacked-open coconut. There is nothing on earth more refreshing. Further east along the Caribbean coast lies Palomino. With its long beach dotted with hostels, sublime sunsets and opportunity for river tubing, it’s easy to see why this is fast-becoming a backpacker favorite. 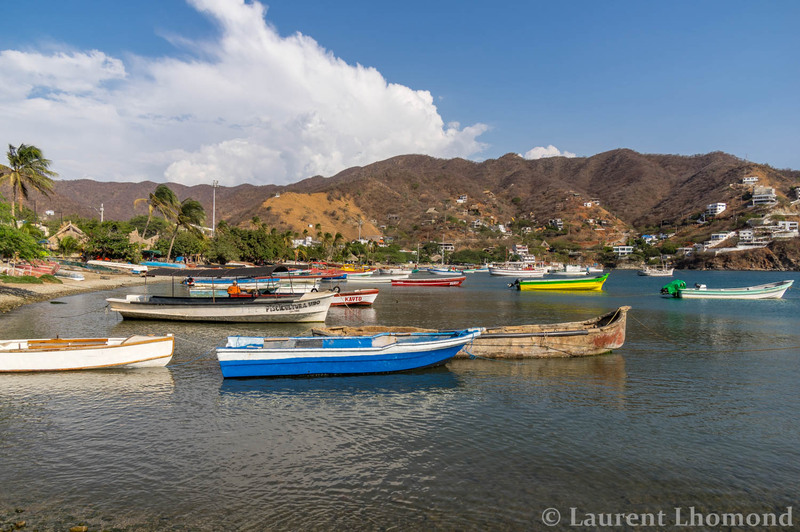 Visit during the week for a quieter moment and hurry up and get here before it turns into another Taganga! Unfortunately, it may already be on its way. 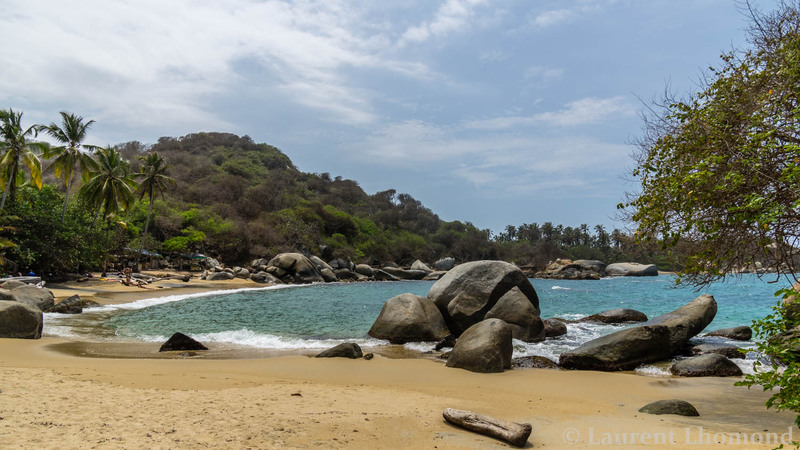 Whether you use convenient Santa Marta as your base or another city, no trip to Colombia is complete without a visit to the Carribean coast. Don’ t miss this stunning area! ← Celebrating the highlights of this past year through photos! Superb post and what a wide variety of places to visit along the coastline. Minca looks really beautiful – sadly we didn’t make it there but it’s firmly on our list for the next Colombian adventure. Great shot of you in the falls – I can feel the refreshing good vibes just looking at you. Thank you very much for your photo report, it is very fascinating and beautiful!